On Monday, unicorn WeWork reported that it lost $1.9 billion on $1.8 billion revenue in 2018. WeWork is a company that provides shared workspaces and related services for startups. WeWork can be thought of as a company that sells “picks & shovels” to the startup community and is, therefore, a play on the tech startup bubble that I’m warning about. The U.S. stock market bubble and the tech startup bubble formed because the Fed and other central banks cut interest rates to ultra-low levels and flooded the world with trillions of dollars worth of liquidity in order to encourage an economic recovery after the Great Recession. There are some worrisome parallels between today’s liquidity-driven tech startup bubble and the early stages of the 1920s German hyperinflation (which started out as a liquidity-driven boom), when the newly printed money found its way into countless businesses that were recently formed (which is what we call “startups” today). It seemed like an innovation boom, but it was just pushing paper around. Along with the paradoxical wealth and poverty, other characteristics were masked by the boom and less easy to see until after it had destroyed itself. One was the difference between mere feverish activity, which did certainly exist, and real prosperity which appeared, but only appeared, to be the same thing. There was no unemployment, but there was vast spurious employment – activity in unproductive or useless pursuits.The ratio of office and administrative workers to production workers rose out of all control. Paperwork and paperworkers proliferated. Government workers abounded, and heavy restraints against layoffs and discharges kept multitudes of redundant employees ostensibly employed. The incessant labor disputes and collective bargaining consumed great amounts of time and effort. Whole industries of fringe activities, chains of middlemen, and an undergrowth of general economic hangers-on sprang up. Almost any kind of business could make money. Business failures and bankruptcies became few. The boom suspended the normal processes of natural selection by which the nonessential and ineffective otherwise would have been culled out. Practically all of this vanished after the inflation blew itself out. Malinvestment is a mistaken investment in wrong lines of production, which inevitably lead to wasted capital and economic losses, subsequently requiring the reallocation of resources to more productive uses. “Wrong” in this sense means incorrect or mistaken from the point of view of the real long-term needs and demands of the economy, if those needs and demands were expressed with the correct price signals in the free market. Random, isolated entrepreneurial miscalculations and mistaken investments occur in any market (resulting in standard bankruptcies and business failures) but systematic, simultaneous and widespread investment mistakes can only occur through systematically distorted price signals, and these result in depressions or recessions. Austrians believe systemic malinvestments occur because of unnecessary and counterproductive intervention in the free market, distorting price signals and misleading investors and entrepreneurs. For Austrians, prices are an essential information channel through which market participants communicate their demands and cause resources to be allocated to satisfy those demands appropriately. If the government or banks distort, confuse or mislead investors and market participants by not permitting the price mechanism to work appropriately, unsustainable malinvestment will be the inevitable result. 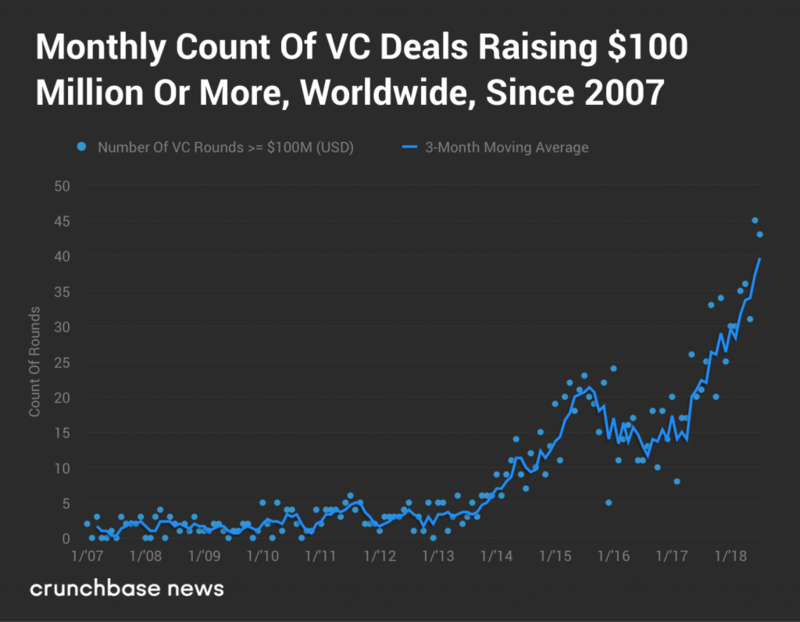 It’s inevitable that the startup bubble is going to burst and tens of thousands of unprofitable startups around the globe are simply going to close their doors. Companies like WeWork, which sell the “picks & shovels” to the startup bubble, will go down with the ship. 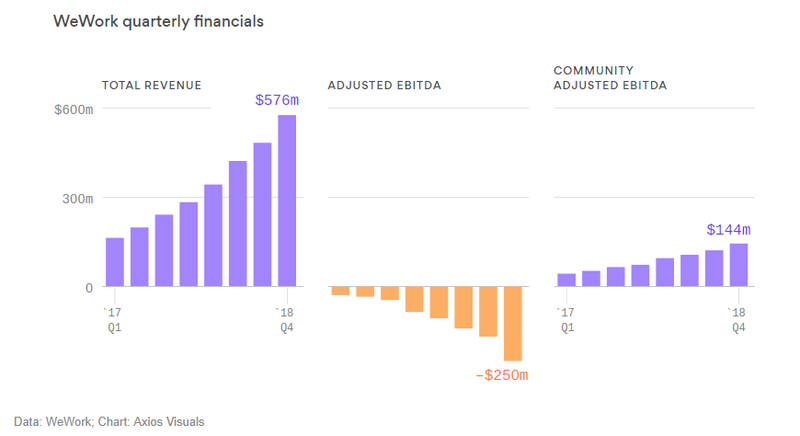 If WeWork is hemorrhaging billions of dollars during the best of times, just imagine what will happen when the overall startup bubble bursts?! It’s not a pretty picture. Even if you don’t invest or work in the startup sector, it still affects you and your investments because the U.S. startup bubble is a major driver of economic activity and job creation since the Great Recession.